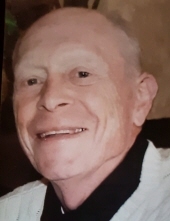 Donald Ellis Wilson, 85, of Bucyrus, died peacefully at his home Saturday, March 30, 2019 surrounded by his wife, Norma and family who loved him. He was born in Crawford County on August 29, 1933 to the late Luther and Ollie (Mayhew) Wilson and was a 1952 graduate of Sulphur Springs High School. Following high school, Don met Martha L. Weidemaier and they were married on August 12, 1953. She preceded him in death in 2001. Don was drafted to serve in the US Army where he was stationed at Ft. Knox and served his country for two years. He returned home and worked at Timken and farmed before completing barber school in 1957. He operated Don’s Barbershop and continued farming until 1978 when he received his realtor license. Don worked for Rindfuss Realty for a brief period before obtaining his broker license. This was the beginning of Wilson Realty, a business he enjoyed until retiring in 2001. Don married Norma Jean (Jolley) Keckler in 2002 and he was a wonderful husband, best friend, father and grandfather. Norma will miss him dearly. Together they traveled through many states and countries creating memories. With there being 1440 minutes in a day, Don made certain that he never wasted one. If he said he would do something, it was taken care of and then some. He was very organized and had learned to appreciate anything that he owned. Don lived life by a quote from Woody Hayes: “You can seldom pay back, so you should always try to pay forward.” Don did help make his community a better place through involvement that strengthened Aumiller Park, especially the Friendship Bridge. He was a proud and active member and Past President of the Bucyrus Kiwanis Club, giving 110% to their projects and chairing the Peanut Day, soup kitchen volunteers, and bell ringing efforts. He was an officer of both the Bucyrus Salvation Army and Crawford County Council on Aging boards and a member of American Legion Post 181 and Moose Lodge 669. Much of Don’s church life occurred at St. Paul Lutheran Church Ridgeton Road and, for the past 17 years, he and Norma enjoyed worshipping at Journey Life Center in Mansfield. He was active in many facets of both churches. “Dancing Don” as he was referred by many, was not shy to be the first on the dance floor. Whenever music played, Don and Norma were ready to dance, especially when the Kennedy Orchestra was performing. His true passion though, was riding his bicycle. He began riding in 1971 as a means of getting to work and has logged every one of the over 300,000 miles he has ridden. He rode year around, including after the blizzard of 1978. Don founded a 4-H bike club, taught his grandchildren to ride, was a 20 year participant of the Tour of the Scioto River Valley (Columbus to Portsmouth), completed the Cardinal Trail, rode from Anchorage to Fairbanks then down to Valdez, which allowed him to take in the beauty of Alaska as well as riding a minimum of 20 miles every morning before starting his day. Don never complained and one of his only regrets was being unable to make the Honor Flight scheduled for this coming April 9 that his and Norma’s daughter, Atara, had been planning since October. In addition to his wife, Norma, Don is survived by two children, Sharon “Shari” (Doug) Moseley of Uniontown and Alan (Theresa) Wilson of Bucyrus; one stepdaughter, Atara (Lonnie) Holt of Galion; 10 grandchildren, Eric (Yao) Moseley, Alex (Jamie) Moseley, Michael (Amanda) Wilson, Darrin (Kourtney) Wilson, Tracy (Brian) Rhodes, Aaron (Stacy) Holt, Ben (Nina) Holt, Natalie (Isaac) Keinath, Elizabeth (Travis) Landon, and Ethan (Lauren) Holt; 18 great grandchildren; one sister, Jean (Elvin) Fisher of Pataskala; one sister-in-law, Jean Kalb; as well as many nieces and nephews. Don was preceded in death by five siblings and their spouses, Lewis (Mildred) Wilson, Uree (Bill) Arnold, Mac (Alice) Wilson, Gerald (Lois) Wilson, Carol Ann (Wilbur) Graham, and a brother-in-law, Harold Kalb. His family will receive friends from 2-4 and 6-8 pm Wednesday, April 3 at Wise Funeral Service, where his funeral will begin at 10:30 am Thursday with Dr. Bruce Philippi and Rev. Hans Scherner officiating. Burial will follow in St. Paul Lutheran Cemetery where military rites will be observed by the US Army and American Legion Honor Guards. Donations can be made payable to Bucyrus Kiwanis Club, Bucyrus Salvation Army, or to Crawford County Council on Aging. These gifts will be accepted at the funeral home. Pictures and memories are encouraged to be shared on his tribute page at www.wisefuneral.com. To send flowers or a remembrance gift to the family of Donald E. Wilson, please visit our Tribute Store. "Email Address" would like to share the life celebration of Donald E. Wilson. Click on the "link" to go to share a favorite memory or leave a condolence message for the family.